Paternity testing questions often come from grandparents instead of the possible father or the biological mother. Sometimes the possible father is not around for various reasons, and grandparents are left to question whether a child is a biological part of their family. Paternity testing is done with an alleged father and a child. So what happens if the parents of this possible father are left with unanswered questions of paternity? 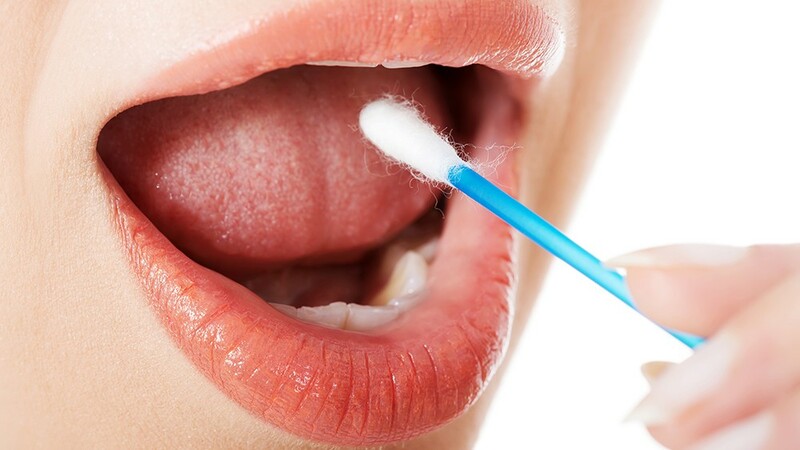 IDENTIGENE offers DNA testing for relationships other than those only paternity tests can answer. Family reconstruction testing is offered for parents of the alleged father (or in some cases the biological mother) to test the child for unanswered biological-relationship questions. If the alleged father is not available for paternity testing, the next best option is to test his biological parents (alleged grandma and alleged grandpa) with the child. If the child is a minor, then consent of their legal guardian is required. It’s also advised to test the child’s mother in any of our DNA testing processes. If only one of the grandparents is available for DNA testing, a single grandparent DNA test is an option, however, it then becomes more important for the mother of the child to test as well. Read more on why it’s important to test the biological mother of the child in DNA tests on our website. It is important to stress that it is always preferable and more cost-effective to obtain DNA samples from the alleged father. 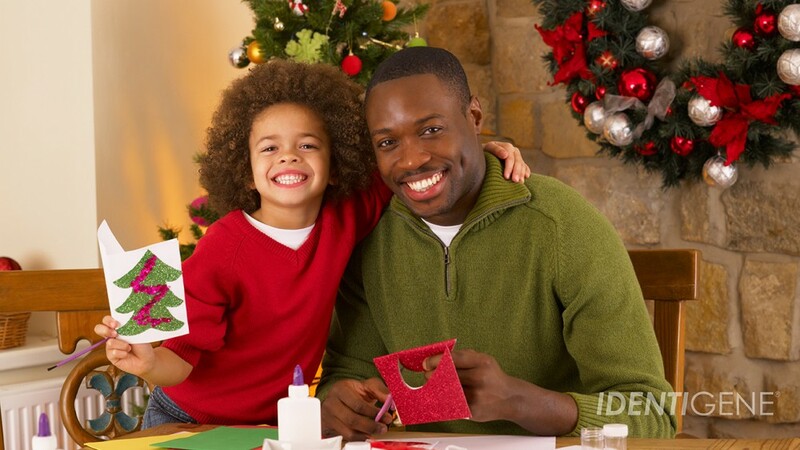 Paternity testing as well as other relationship DNA testing can help bring families together. If you are a grandparent with questions about a child and a paternity test is not an option, review our other relationship DNA testing family reconstruction tests as an alternative. Call 1-888-404-4363 or chat live Monday-Friday 9 AM – 6PM Eastern time and discover why IDENTIGENE is America’s # 1 DNA test kit for grandparents with paternity questions. Hi, Shala. I can’t speak on behalf of a different lab from ours, since I don’t know what their processes are. That being said, you are welcome to discuss your LabCorp results report with one of our expert client support representatives, and then you can decide if you still want to do another test. The number is 888-404-4363 (M-F, 9 AM to 5:30 PM Eastern Time). my son is unavailable , its a grandchild in question…i want to test (grandmother) and my other son (uncle) is this possible…and can we get this test at walmart? Yes, it is possible to test other family members in place of the alleged father in order to determine paternity, however, you will still need to get consent from a child’s legal guardian or parent for testing if the child is a minor. This test is not available at Walmart. You will need to call and talk with our client support staff and they will help you determine which relatives would be able to yield the most conclusive results. We are available Monday-Friday, 9 a.m.- 8 p.m., ET at 1-888-404- GENE. My father passed away 15 years ago, he had 4 siblings all from different fathers. he never knew who his father was. there is a man who my grandmother claims is the father of one of his sister and brother, who look very much like him, tall with dark hair and brown eyes (the other two are fair skinned, light eyed, and have blond and red hair). would a test like this be able to prove that this man is the father of my dad if i were to do a DNA test with him? Our condolences for your loss. Grandparent DNA testing with both grandparents offers the “next best thing” to a direct paternity test. With both grandparents, DNA testing can conclusively determine whether a son of the alleged grandparents could be the biological father of a child. With this test, you along with the grandparent(s) and any other first degree relatives to your father can test to see if they are your paternal grandparents. Testing to see if they are your grandparents would prove paternity for your father as well since he is unable to test. A test with both Grandparents will be $359 and typically takes 5 days to complete. 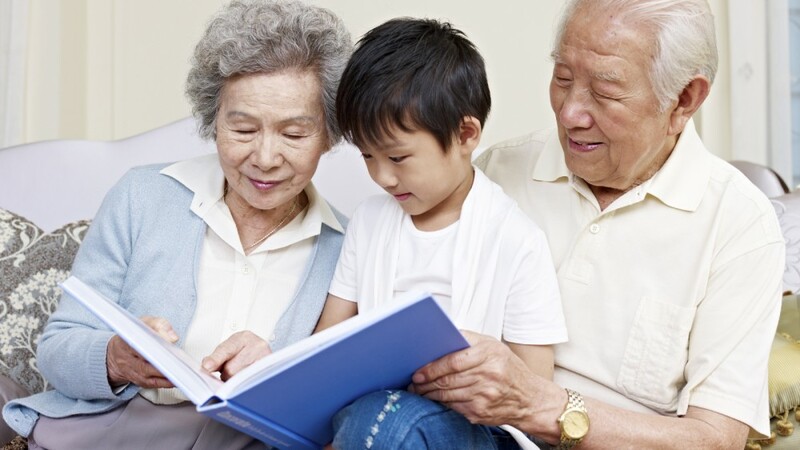 A test with only one Grandparent will be $399 and takes approximately 5 days to complete depending on the samples. We also STRONGLY recommend your biological mother to test so she can eliminate her half of the DNA, leaving only your father’s DNA to be determined by the grandparents. I hope this information helps. If you have any more questions about this test, please call our friendly client support. You can reach us at 1-888-404-GENE, Monday-Friday 9AM-8PM ET. Thank you for your comment! I lost my father a couple months ago. He has an alleged daughter. My grandmother tested just herself against the focus, the alleged daughter. No mother, no biological father, no one but the alleged, my grandmother and the focus, the “daughter”. There was a 91.66667 chance of probability. Is this at all, enough to conclude that this alleged daughter is my sister? Typically, with a result under 99% and over 0%, the result is determined to be inconclusive. Usually, this will happen when there are not enough participants to give more DNA and obtain a stronger result. With inconclusive results, we can suggest if the alleged is a biological relative, however, it cannot be given as a concrete answer. Are you a known child of your father? If so, it would help to include you in testing since you have your father’s DNA. The grandparent test allows up to 5 participants to test with the same price. I hope this information is helpful. If you have anymore questions, please feel free to call our client support at 1-888-404-GENE, Monday-Friday 9AM-8PM ET. Thank you for your comment! Hi, Angelica. I’m so sorry for your loss. If the mother of the child is willing to send in her DNA and the child’s, then we can test them with your sample to see if the girl is indeed your biological granddaughter. I suggest you give us a call directly at 888-404-4363 and one of our experts can explain the test to you in detail and give you pricing. Again, I’m very sorry about your son and wish you all the best. I understand you are the alleged uncle to this child? If so, we do offer an Avuncular test through IDENTIGENE. You can test yourself, child, your mother and if possible, we highly recommend the child’s biological mother as well. Testing with her will help reduce the chances of an inconclusive result since the father is unavailable to test. The test can include up to 5 participants, and would be most helpful if they were all first-degree relatives to the alleged father. The test costs $399 and typically takes 5 full business days for results to be available. When testing with other relatives for paternity, it is always best to call us so we can effectively evaluate the situation and available participants before ordering the test. To order an avuncular test or for any other general questions, please call us at 1-888-404-GENE, Monday-Friday 9AM-8PM ET. Thank you for your comment! Our condolences for your loss. We do have other options when the alleged father is not available. Grandparent DNA testing with both grandparents offers the “next best thing” to a direct paternity test. With both grandparents, DNA testing can conclusively determine whether a son of the alleged grandparents could be the biological father of a child. The web link below provides more information as to why the biological mother is strongly recommended for all of our testing, and there is a wealth of knowledge available on our website about the testing services we offer. I hope this answers your questions. Feel free to call us at 1-888-404-4363, Monday-Friday 9AM-6PM ET with any further questions you may have and we will be more than happy to assist you.m Thank you for your comment! my brother passed away in 1982. Now, we suspect that he had a daughter. My mom and other brother (same parents) and the “daughter” had a test done. the resuts said it was a 3% chance. We are unsure what that means, we were expecting a all or nothing answer. Now, what can we do? the mther of the daughter will not take a test. Would it be different if I test? (being im female) This has been a loose end in our family for soo long and really need some answers. Thank you for your question and patience. Anything under 99% and over 0% is considered an inconclusive result, meaning not enough DNA was obtained or the DNA obtained was not strong enough to conclude a solid result. With any relationship testing, the more participants, the better. Especially in situations where the alleged father is not available for testing. Including the child’s mother would also be important in testing without the alleged father if at all possible. Including more first-degree relatives can certainly help in strengthening results out of the inconclusive range. I hope this information helps. If you have any more questions, please call us at 1-888-404-GENE, Monday-Friday 9AM-6PM ET to speak with one of our representatives. Thank you for your comment! My son is incarcerated and a girl wrote him saying he is her babies father, the problem is she is also incarcerated too. Would I be able to test myself and the baby and get a accuate result or would I need more? There are definitely tests involving other relatives that can help establish paternity if the alleged father is unavailable to test. We do highly recommend the biological mother tests for a higher chance at conclusive results. Have you tried contacting the prisons and asking if they are able to participate in a DNA paternity test? Some prisons may actually allow it if they supervise or conduct it. For more information on other relationship testing such as grandparent DNA test, please call us at 1-888-404-GENE, Monday-Friday 9AM-6PM ET. Thank you for your comment! Hello, my alleged sons father is Mia and we are looking to do a grand parent DNA test! What are some of our best/affordable options TIA! And thanks for all the help! Results probabilities for DNA testing with both paternal grandparents are typically 100% (exclusion) or 99.9% (inclusion), but there is a chance that the results will be inconclusive without the biological mother. Grandparent DNA testing with only one paternal grandparent will produce results that fall into one of four categories: strongly supported (conclusive), somewhat supported, inconclusive or not supported. If the biological mother is not available to provide a sample for testing, there is a greater likelihood that the results will be either somewhat supported or inconclusive. The cost for this test is $359 when testing both alleged grandparents, and $399 when testing one alleged grandparent. I have a question…. my brother was murdered 2 yrs. ago, he’s actually my biological cousin we adopted him when he was a baby. but its said and I believe he may have fathered a son before his untimely departure. how can I get dna done to find out if this boy is my nephew? I am sorry to hear about your brothers passing, that is never an easy situation to cope with. We do have other testing options when the alleged father is not available: Grandparent DNA (alleged father’s parents), Sibling DNA (alleged father’s other children), and Avuncular DNA (alleged father’s brother/ sister) tests. Unfortunately a cousin is too far of a relationship to test. My mother and alleged father have passed on. I’ve suspected that someone I’ve called “uncle” my whole life is my father. Can I use my grandmother’s and my sister’s DNA to get conclusive results? We have the same mother just not sure about my father. I don’t want to ask my “uncle”. I have provided a link to additional testing information. If you have any additional questions or concerns, or are interested in having us assist you with your DNA testing needs, please feel free to contact us at 888-404-4363 and we will be happy to assist you. Hi, my dad has an alleged daughter. If she is not present and her oldest daughter agrees to DNA testing, will the results be accurate? I would be able to test as well, my dad and his alleged granddaughter. Hi, Luz! A standard paternity test would not be an option here, although other types of DNA testing can. In your particular case, we would test to see if alleged grandpa is your grandpa. In addition to your sample, we would need samples from your dad as well as the alleged grandma. You are welcome to contact an IDENTIGENE expert to discuss your options at 888-404-4363 during regular business hours. Hi, Monica. The absolute ideal would be to test your son with the alleged father, of course. When combined with your DNA, you will get conclusive results at the lowest cost of just $89 plus the cost of the kit. So if there’s any possible way to have your son participate, this would be best. Now, let’s address the situation as you described it: that your son is not available for testing. We can definitely do relationship testing with DNA from you, the alleged father and your granddaughter. You didn’t mention if the granddaughter is your son’s, but I’m going to assume she is. If it is possible, the results will be more conclusive if the mother of your granddaughter can be included as well. Keep in mind that this kind of testing is more expensive (starting at $399). You are more than welcome to contact one of our friendly and knowledgeable client support representatives at 888-404-4363, during business hours. They can help answer any other questions you may have and give you more details, OK? Hope this helps! I had my oldest son 2 years ago and now I am curious who his father is I have an idea. My question is can a have a grandparent of the father do a DNA test, because the father is not available and either are his parents, because they live so far away, but his grandmother lives across the street from me. Could I use her to see if her grandson is my son’s father? Hi, Maranda. Did I read your question correctly that the potential father is not available and neither are the potential father’s parents? Is it the potential father’s grandmother who lives across the street from you? I have always wanted to prove that I was the biological father of my daughter. Unfortunately, she died in 2011 and left me with two teenage grandchildren. Is there a way to check either of their DNA against mine to verify that we are related. This is important because of certain cancers prevalent in my family. If my granddaughter has the mitochondrial DNA of her mother line and my grandson has the Y-DNA from his fathers line, is there a portion of their DNA that could prove they are my grandchildren? Thanks. Hi, Don. Yes, we can definitely do a grandparent test to determine if there is a biological relationship between you and your grandkids. If those grandkids are under the age of 18, you would need consent from their legal guardian. Call the experts in our Client Support Center at 888-404-4363 (M-F, 9 AM to 5:30 PM Eastern Time) and they can give you pricing and help set up the test. Good luck! Thanks. I will make that call. Three weeks ago yesterday, the Father of my two Daughters was pronounced to have zero Neurological function and was on Life support awaiting organ donation surgery. Unfortunately, he was not present during the birth, nor the first 364 days of our now 3 year old Daughters life. I requested assistance in seeking a company that administers Paternity testing for the purposes of helping me to achieve the goal of getting his name/info documented on her birth certificate, Family medical history, SS benefits that they may be eligible for, etc. His Mother insisted on paying for this $400 test. But now, Kevin from Med Tech, Inc who administrated the tests informs me that only my little girls Paternal Grandparents will receive the results because they paid for the test! I was advised by Med Tech to ask them to simply call them by phone to ask her to give them permission to release a copy to me! Really? They rook my DNA, my toddlers DNA as well as her Father’s and I am not intitles intitled to those records? This can’t be legal can it? Hi, Steph! We cannot comment about other companies’ policies about releasing information or the legality of what they are doing. I would contact an attorney about that. What I can tell you is that all participants who test with IDENTIGENE can request full access to results, regardless of who requested or paid for the test. If you want to test for paternity again with us, the cost is $89 + the cost of the kit. You are welcome to contact our Client Support Center at 888-404-4363 for more info, and good luck! Hi, Joseph. As mentioned in the article you commented on, it is best if the father can test. If that’s not possible, then the biological grandmother and your biological mother should submit samples as well. The test is $399. Please feel free to call us at 888-404-4363, and one of our experts can explain the testing further and set it up for you if you decide to do it. My question is can a great grandmother and grandmother of the baby’s father prove if the child is biological, if the father is not around. Hi, Sharon. We can certainly do family reconstruction testing to determine a biological relationship between the child and the grandmother. Is the grandfather available too? It’s also helpful if a known biological child of the possible father could be tested. Please call us at 888-404-4363 to see what your options are as well as for pricing. Is it possible to get an accurate DNA test for a fraternal grandfather using his DNA, 2 potential granddaughters( who are sisters with the same mother), and their mothers DNA. The fraternal grandmother & Biological father are both deceased. All involved are adults; what is the estimated cost of this kind of testing if available? Thank you. Hi, Stacey. You said “fraternal” grandfather, but I assume you mean “paternal,” correct? If so, then a grandparent test works fine in this case. In order to get conclusive results, we would definitely need possible grandpa’s DNA, the girls’ DNA and the biological mother’s DNA. The cost for testing 1 grandparent + 1 child + 1 mother is $399. So, the price to test both girls would be $798. If you have other questions or want to set up the test, feel free to call our Client Support experts at 888-404-4363 (M-F, 9 AM to 5:30 PM Eastern Time). Yes, Paternal. Do we need to test both girls? or is one enough? Unless the girls are twins, I suggest testing both. I’ve always wondered if my son’s truly mine biologically. He isn’t available for testing but could i test my grandson and i to find out? Hi there! Yes, you can. The best case scenario is to have the child test, the mother test, and both grandparents. This will yield the most conclusive results and the cost is $350. If only one grandparent can test instead of two, the cost is $399 because more extensive analysis is required. If the child is under 18, his mother will need to give her signed consent. I hope this helps! If you want more questions answered or want to order the test, feel free to give us a call at 888-404-4363 (M-F, 9 AM to 5:30 PM Eastern Time). Hi, Sheila! It definitely helps to get the most conclusive results if your mother can participate in the test, yes. If both grandparents are available to test, the fee is $350. If only one can test, then it’s $399 due to the more extensive analysis required. I suggest you contact us directly to discuss your options with one of our experts: 888-404-4363. I wish you all the best! My son has been tested twice within the last 3 years to determine if he was the father of 2 different children. We used Identigene for one of those results and the probability of paternity was 0% (Thanks Identigene). Now there is a 3rd child in question and my son is not available for testing. The mother of this current child in question is more than willing to provide her DNA for the test. Since my son’s DNA has already been sampled/determined from the previous 2 tests….Can that previous sampling be used? Surely these lab results are still available? I have copies of the results which includes genetic marker details. DNA doesn’t change does it? If previous samples/results cannot be used what’s the probability of accuracy of results if mom and 1 paternal grandparent(me) and child are available for testing? Please advise. Thanks in advance. I really want to be there for this child if he is indeed my grandson! Hi, Nikki. Our policy is that we only use an existing profile on file if the participant is now deceased. You’ll need to do a grandparent test, which has great probability of getting conclusive results if the mother also participates. Because of the much more extensive analysis involved, the lab fee is considerably higher than for a straight paternity test: The fee is $399 if one paternal grandparent participates and $350 if both paternal grandparents participate. Feel free to contact us directly at 888-404-4363 if you have more questions about this or want to set up the test. I wish you all the best, and thanks for choosing Identigene! I know a lady who was raped at the age of 13 in her own home and as a result, became pregnant. She gave birth to a son. Her brothers had company that night and she was unable to identify who it was. There was a lot of speculation that it may have been one of her brothers or even her father. Her son is grown now and he ended up getting his grandfather (his mom’s dad) to take a DNA test. The DNA test results where 98%. Would that make him the father or could it be that it could be one of her brothers? Hi, Laura. What a sad story! A 98% probability of paternity isn’t considered conclusive, especially where the possible fathers are biologically related to each other. The best case scenario would be for this man to be tested with the DNA of each possible father, and his mother’s DNA should also be included in every test. In cases like these, it’s essential for those being tested to advise the lab that there are other possible fathers who are biologically related to the man being tested. The lab can then take that fact into account when performing testing analysis. My sister was raped 18 years ago. She wanted to abort the baby but my family was against it. So she gave birth to a baby girl and gave the baby to my parents as soon as she gave birth to her. Now she has grown up and all along she thinks she is my sister. We love her dearly but we never told her the truth yet because my sister and her fights a lot and we don’t want things to get more complicated. One day she came home furious. Someone has told her that my sister is her real mom. She cannot accept it. She won’t accept it. Now she is asking for DNA testing. If my parents would agree for DNA testing, will it show that they are her grandparents or there is a possibility that it will come out 100% related? Thank you for your response in advance. Hi, Liz. That’s a rough situation! The best case scenario (and the cheapest) here would be for your sister and niece to do a maternity test. This only costs $89. 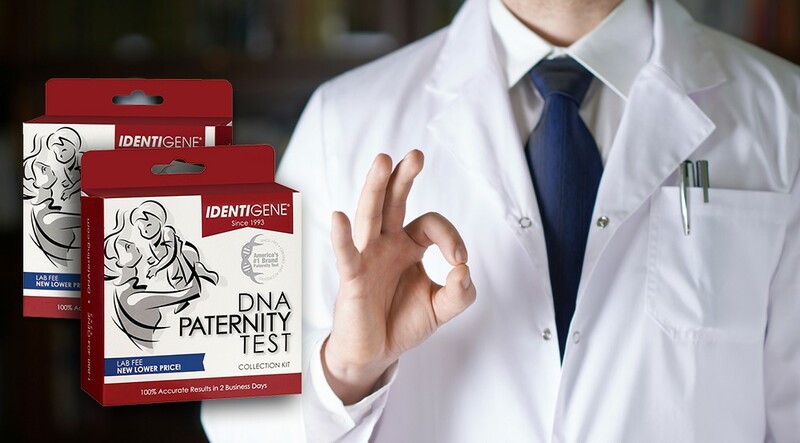 You can use our paternity test kit to collect DNA and the test works just like a paternity one, really, except a mother is being tested instead of a possible father. I suggest you contact us directly to consult with one of our experts at 888-404-4363. I need someone to help me on this question. My aunt passed away on Oct 11th of cancer and when she was a little girl my grandma put someone else on the birth certificate as her dad, however he wasn’t.. With that being said is there a way to prove this other man who is willing to do what it to takes to prove he is the my aunt’s. father. Hi, Dewayne. If I understand your situation correctly, this man is possibly your grandpa. Is your own mother willing to test? If so, we could test all three of you and the chances of getting a conclusive result would be much better than without your mother. The cost is $399. I suggest you contact us directly to consult with one of our experts at 888-404-4363, and good luck! I just got a copied paper by your company from my ex mother in law. She had a test done and it says there is 32 percent likely hood she was related to her. She did not have my consent, she only tested herself, and my daughter. She didnt have permission from me or my ex husband to give her any sort of test. Why would it say there is only a 32 percent chance she was related to her. I told her i would gladly take a test, my ex declined the test. He is my daughters father. But why would the grandma have only a 32 %possibility of being related to her than? Hi, Sarah. Without having the test results in front of me, it’s impossible for me to address any specific questions about the probability percentage, unfortunately. Those are definitely inconclusive results, and they’re no doubt inconclusive because he didn’t include your DNA sample or your ex’s. If you want to pursue this further, I suggest you contact us directly at 888-404-4363 (M-F, 9 AM to 5:30 PM Eastern). Elaine and Stanley have two daughters, Ann and Jane. As a teenager, Ann gave birth to a baby girl named Louise. Louise knows that Ann is her bio mother and has been told that her bio father is deceased. Louise suspects that her biological father is actually Stanley. Can a DNA test of Elaine, Jane, and Louise determine if Stanley is Louise’s bio father? Ann and Stanley are not available for testing. Hi, Susan. This is an excellent question, and thank you for stating it so clearly. Normally, this would be enough to determine paternity. The snag here is that the possible father of the child is the mother’s biological father. In order to optimize the chances of getting conclusive results, it is absolutely essential that you let the lab you test with know what the relationship is between the child’s mother and the possible father. This way they can test more genetic markers if necessary, and modify how results are analyzed. I hope this helps! My daughter in law thought she was pregnant by a man after getting a DNA test while pregnant. It was later discovered that the test was not accurate. She then went on to get a sibling DNA test which proved both children were fathered by the same two people (the latter makes my second grandchild). My son refuses to believe the child is his now that the initial test said otherwise. Can I get a test to prove to my son that this child is his? And, how could the first test have been wrong? They took blood from my daughter-in-law and swab the man she thought was the father. Can I do a test via mail since we live in different states? Hi, Y. Results from straight paternity test such as the prenatal test you described, if done through a reputable and accredited lab, always supersede any other type of relationship test, such as a sibling test. If you still want to do another test, I suggest you do a legal test wherein DNA collection and submission to the lab is supervised by an approved witness. This way, you can be sure the samples belong to who participants say they do and they didn’t swab someone else instead. The optimal people to test are the mother, possible father, and the child. Living in different states is no problem. To arrange this test, give us a call directly at 888-404-4363. But there was always a doubt. The daughter has now had a child. My husband has no contact with “daughter” because of nasty divorce. But he may soon have access to “grandchild” . Can my husband and grandbaby be tested to prove if he is the father of the Mother? Hi, Bridget. He can but there is no guarantee that results will be conclusive since the mother of the child wouldn’t be participating. I suggest he call our parent company (DDC) directly to consult with one of our relationship-testing experts: 800-681-7162. Good luck! Hi, Jules. We do this type of relationship testing to determine paternity all the time. Its actual name is “avuncular” testing, wherein the brother or sister of an alleged father is tested when the alleged father is not available. To optimize the chances of getting conclusive results, the mother of the child should also submit her DNA. I suggest you contact our parent company, DDC, for more details and pricing: 800-681-7162. My daughters dad says he’s not her father. He also will not take a DNA test so his mother agreed to take one with my daughter and I . Will I get accurate results using his mother? Hi, Erica. Since you are also participating in testing, the chances are not guaranteed of getting a conclusive results, but they’re very good, yes. can we prove cousin ship by DNA? if we can so please tell me the right method or any kind of informaction which court can be accept??? Hi, Mian. You share so little of your DNA with a cousin that testing directly only with them wouldn’t be effective. You would need the participation of other relatives also in order to establish a biological connection. You’re welcome to contact our parent company, DDC, directly at 800-681-7162 to see what options you may have. Hi, LaDonna. It appears that the grandfather and your son are not related. I think I explained wrong. My husband is questioning paternity of a son from a previous marriage. We can provide DNA from grandchildren, their mother and my husband. Will that tell us if the son is biologically his. Hi, Lisa. It’s simplest (and cheapest) if your husband can test directly with the son, but our parent company, DDC, can definitely test using the participants you described. Please call us directly to speak with one of our experts about details and pricing: 800-344-9583. Your lab emailed me result done on the Grandmother(me) Child and child’s mother( biological) was tested what does this mean. The results of the DNA test indicate that the alleged grandmother is 42 times more likely to be unrelated to the child with a probability of 97.7%. A prior probability of 0.5 was assume. Hi, Lashonda. It means what you think it does. That there is a 97.7% chance that you are related to the child tested. We usually cannot get a 99.9% or higher probability of relationship without the father being tested.